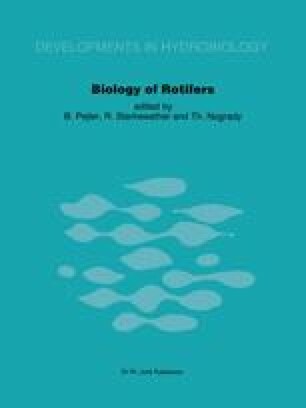 Nine species of Rotifera Bdelloidea have been cultured under laboratory conditions. The species were collected from two different environments: one group from water courses, the other from terrestrial mosses. Life tables have been determined and population dynamics parameters have been calculated. The characteristics of the life history seem to be related to the natural environmental conditions of the species. The patterns of reproductive output may develop as adaptations to different selective pressures: species from unpredictable environments face the probability of leaving no young at all, while species from stable environments are less conservative in their energy budget. Life characteristics are discussed from the point of view of adaptive strategies.